Over the years, Bosnia and Greece have become familiar foes, and the two will meet once again in UEFA Euro 2020 qualifying. AGONAsport takes a closer look at the opponents. This talented, determined Bosnian side has forced the world to take the country seriously at the top level. Boasting the likes of stars Miralem Pjanic and Edin Dzeko on their books, Bosnia and Herzegovina are one of the toughest teams in Europe to beat, especially when playing at their atmospheric Bilino Polje Stadium in Zenica. Nevertheless, asides from their appearance at the 2014 FIFA World Cup in Brazil, they struggle to qualify for major tournaments and often end up being the bridesmaids. In the recent UEFA Nations League, Bosnia impressed in Group 3 of League B, topping a group with Austria and Northern Ireland to earn promotion to League A. In the four games, the Bosnians claimed three victories and one draw, only conceding one goal along the way. It’s worth noting that whatever happens in these qualifiers, Bosnia will have a second chance to qualify for Euro 2020, as they hold the right to compete in the subsequent qualification playoffs as one of the Nations League group winners. Interestingly, in the past 12 years, these two nations have now met in four separate qualifying campaigns! In UEFA Euro 2008 qualification, Greece defeated Bosnia 4:0 and 3:2 respectively, before drawing 0:0 and losing 1:3 in qualifying for the 2014 World Cup. During the qualifiers for the 2018 FIFA World Cup, the Greeks once again had the upper hand over Bosnia, snatching a 1:1 draw in Piraeus and tying the away game 0:0. The two results helped the Ethniki Omada finish in second place and edge Bosnia out. There is always lots of tension between both players and fans alike for these matches, with Greek winger Giannis Gianniotas even losing a tooth in a brawl after the 0:0 draw in Bosnia in 2018 World Cup qualifying. The two fixtures in Euro 2020 qualification promise to contain plenty of passion too. 49-year old former footballer Robert Prosinecki received the role of national team head coach after Mehmed Bazdarevic departed following the disappointing 2018 World Cup qualifying campaign. As a player, Prosinecki enjoyed a hugely successful career, playing for Real Madrid, Barcelona, Sevilla, Standard Liege, Portsmouth and a number of Bosnian clubs. Eventually, the midfielder decided to hang up his boots in 2005, and he’s still regarded as one of the best footballers to emerge from Bosnia. In winning the Nations League group, Prosinecki has made a positive start to life as Bosnian boss and he’s eager to finally lead the country to a senior European Championship, something which has always eluded them as an independent nation. Prosinecki was an assistant coach for Croatia from 2006 to 2010, later coaching Red Star Belgrade, Kayserispor and Azerbaijan. Bosnia’s main source of goals comes through the prolific Edin Dzeko. Having made a large 99 appearances for his country, Dzeko is the most capped Bosnian player of all time, and he’s managed to score 55 goals in those games. Now playing at AS Roma, the 32-year old is generally lethal when presented with an opportunity, possessing a true killer’s instinct. Dzeko initially shot onto the scene at Wolfsburg, but in 2011, he was snapped up by Manchester City where he won the two English Premier League titles. He signed for Roma in 2015 and has continued hitting the target with regularity. There aren’t many better midfielders than Miralem Pjanic on the continent. The 28-year old has built up a deserved reputation of a silky, slick player with a stunning passing range, starring in Serie A after catching the headlines in France with Metz and Lyon. 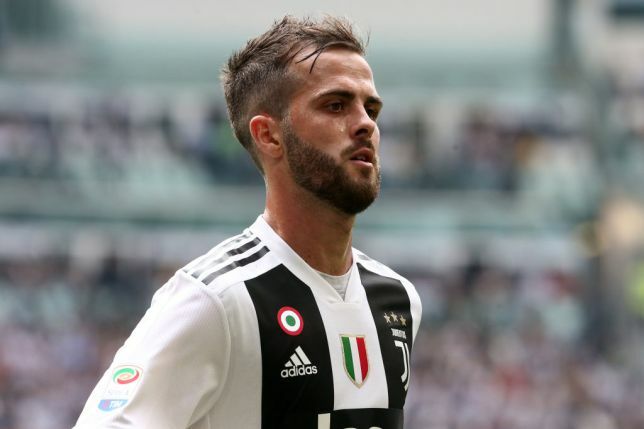 Two years ago, Pjanic moved from Roma to rivals Juventus, becoming a vital cog of the midfield machine with his technical ability and awareness on the field. Pjanic is also a set-piece specialist and isn’t shy to try his luck from any distance. Gritty defender Ognjen Vranjes is certainly someone who splits opinion. Some see him as a warrior, while others believe he’s a negative influence to have in a team given his tough, controversial character. He’s no stranger to the Greek game either. In January 2017, Vranjes transferred from Russia’s Tom Tomsk to AEK, and alongside winning the Super League, he struck up a friendship with the club’s Original 21 fan group. Vranjes left for Anderlecht this summer, but when Ajax fans were attacked by AEK supporters inside the Olympic Stadium in November, he uploaded a photograph to Instagram supporting the Athenians which was hastily deleted. Anderlecht and Bosnian fans have since called for the 29-year old centre-back to be dropped, but he’s an important figure for the national team with his committed style of play. In nine matches, Bosnia’s only victory against Greece came in 2014 World Cup qualifying, when they defeated the Greek national team 3:1 at home. Asides from that win, they’ve lost on four occasions to Greece, drawing the remaining four games. The first two meetings in qualification for the 1998 World Cup saw the Ethniki Omada defeat Bosnia 3:0 and 1:0.